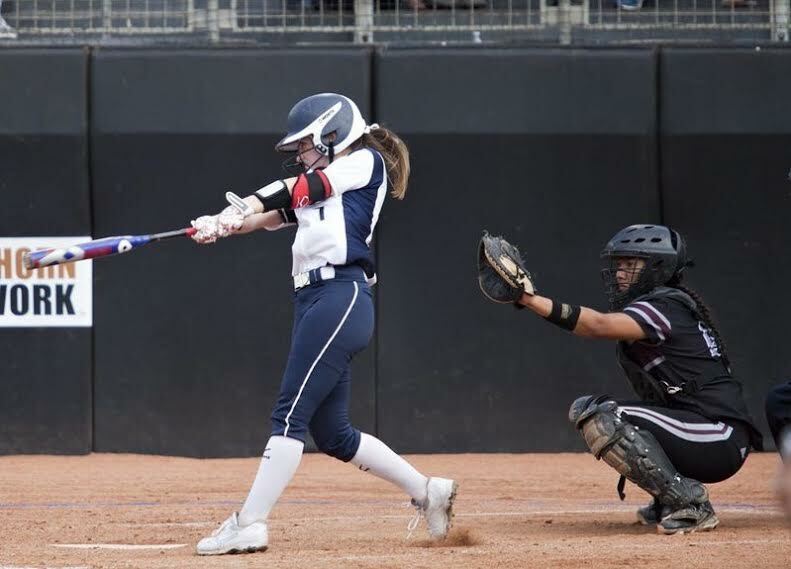 ScoreStream is thrilled to present our next Player to Watch, Camryn Woodall, a senior softball standout from Keller High School in Keller, Texas. 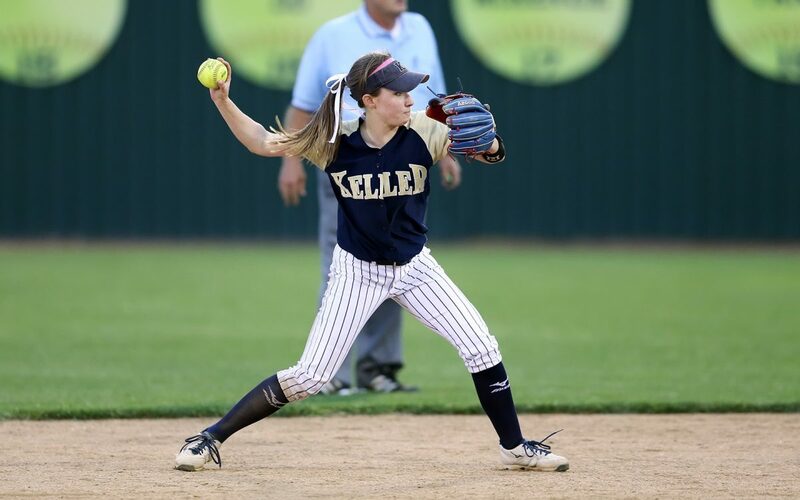 Woodall is currently leading her team as the starting 2B captain for Keller Varsity Softball through the fifth round of 6A playoffs to the Regional I Finals this week. She had six hits and nine RBI’s this past weekend in the Regional Semi-Final series against Plano East. Woodall has racked up her fair share of awards in her high school career, including District 5-6A First Team All District her Freshman and Sophomore year and District 5-6A MVP Junior Year. 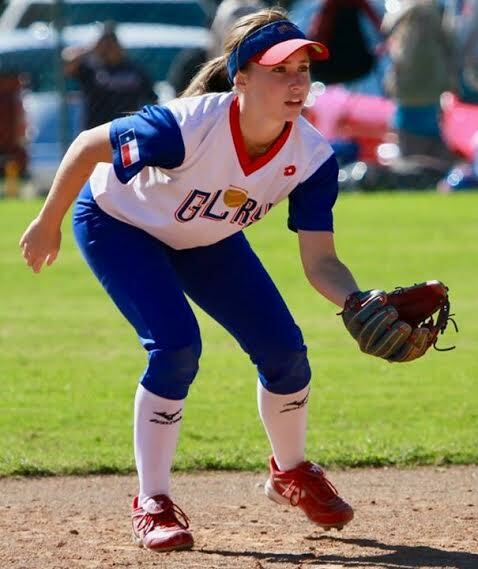 She has also earned DFW Fastpitch Freshman of the Year, 6A State Championship All-Tournament Team, Texas Sports Writers Association All State, Dallas Morning News First Team All Area Team, DFW Fastpitch First Team All Metroplex Team, and Star Telegram First Team All Area Team, all before her senior year! She maintains an extremely noteworthy .448 batting average in her high school career thus far. Woodall will be continuing her softball career at the University of Utah in the fall. We caught up with Woodall between innings with this quick Q&A! SS: How and when did you become interested in playing softball? CW: I first became interested in the sport as a little six year old girl. My dad has told me stories of trips to Toys-R-Us when I would beg him to buy me the pink softball glove and he finally gave in. I made him back the cars out of the garage and we would spend hours together playing catch and counting how many we could throw without dropping the ball. Little did we both know, that is where it would all begin. SS: What player has influenced you the most in becoming the player you are today? CW: I don’t think I can give credit to just one player or person that has helped me become the player I am today, but I really enjoy watching and learning from Hannah Flippen. She is a senior at the University of Utah right now and she has accomplished so much in her four years. 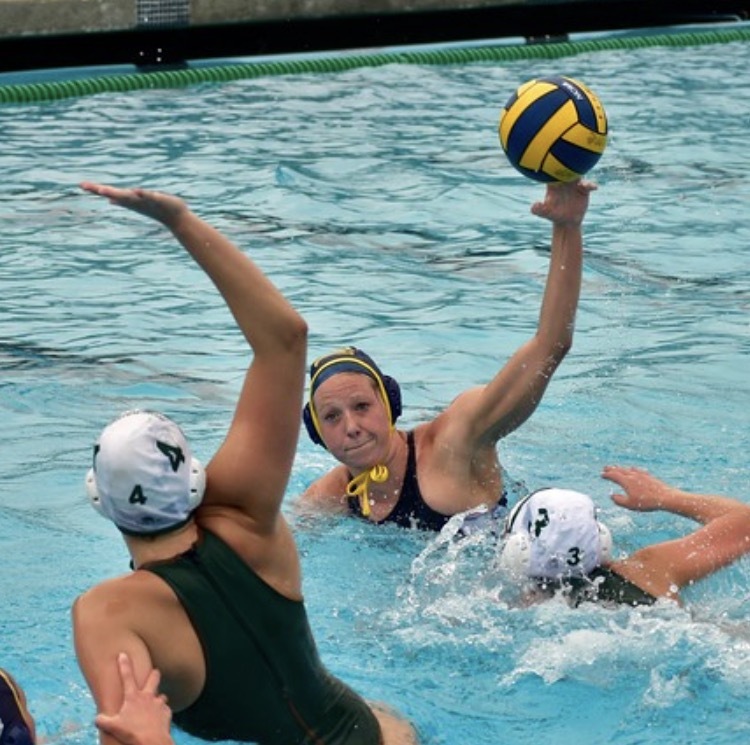 She came in and started as a freshman and earned PAC-12 Player of the Year two years in a row. I am really looking forward to working with her when I get to Utah in the fall. SS: What has been your favorite memory of high school softball thus far? CW: My favorite memories from come from my junior year of high school. It is an entirely different feeling playing on a team with the instinctual ability to want to win no matter what. Every girl understood her role and played for the girl next to her. We should sing on the bus rides, goof around in hotels while in playoffs, and just always enjoyed being with each other. SS: Do you have any pre-game rituals that get you hyped up for game day? CW: Always before away games we jam out with a speaker on the bus and get pumped up with our favorite songs. We also have a ritual before each game where we chant, “together we’re stronger,” which helps reinforce why we are there and that it is going to take every single one of us to win. SS: Congratulations on your recent signing to the University of Utah to continue your softball career as a college athlete! What are you most excited about playing college softball? CW: I am beyond excited to be starting a new chapter in Salt Lake City with a new group of girls and coaches. I am most excited for the amount of information that I am going to have the opportunity to absorb. It will be a challenge, but I know that I am going in with an excellent support group that will help me through every step of the way! If you enjoyed reading this make sure to keep up with Camryn and the high school scores at Keller High School on ScoreStream this year! You can follow her @camrynwoodall_ on Twitter. We are excited to introduce you to our next finalist from the #NextLadyLegends campaign! We will continue to release all the interviews for each finalist, and beginning the week of March 20th YOU will have your chance to vote for our NATIONAL WINNER! Read more about this campaign here, read ALL finalist interviews here and check out the action on twitter using #NextLadyLegend. 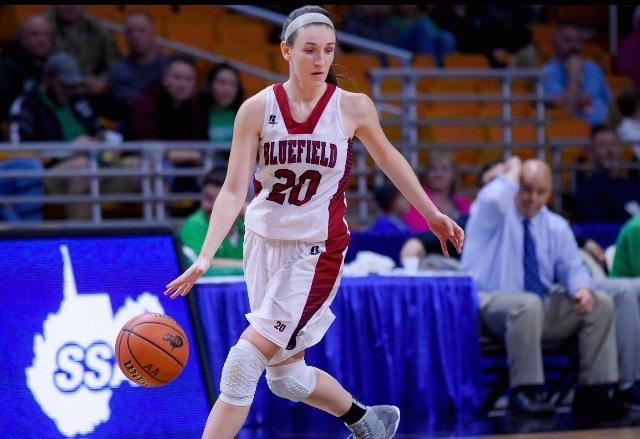 ScoreStream is ecstatic to reveal our #NextLadyLegend finalist, multi-sport athlete Alyssa Lester from Bluefield High School in Bluefield, WV. Whether she’s powering goals in the back of the net out on the field, making a quick drive to the hoop out on the court, or studying for her exams, Lester executes everything she does with passion and resilience. As a junior on her school soccer team, she has already recorded a remarkable 103 goals and 67 assists. She has been awarded Coalfield Conference First Team-All league for three years in a row, and earned the All-State Award in 2016 all for soccer. Lester has also earned three state championships with her traveling soccer team, the East River Raptors, who she’s been playing for since she was eight years old. The stats don’t stop there! Lester also averages ten points, two steals, and four assists a game as a starter on her high school basketball team. She has been a sectional champion for basketball all three years of her high school career! We got to know Lester and learn about her secrets to success in the Q&A below. SS: How and when did you begin playing basketball and soccer? AL: My dominant sport is soccer, which I have been playing since I was four years old. No one in my family has ever played soccer, so it was kind of a fluke that I started playing. My dad was a big basketball player back in his day, so of course he wanted me to play and I started at the age of five. Although I love both sports, soccer stole my heart because of the physicality and intensity of the game. 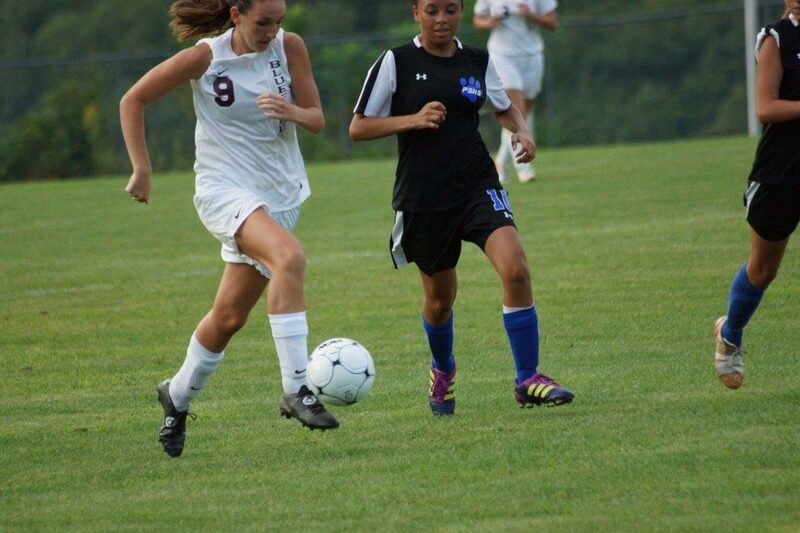 Ever since I played in my first soccer game, I have never thought once about giving up the sport. I love basketball for the competitiveness as well. I am so glad I started out as a multi-sport athlete at a young age, because it has made me into the athlete and person who I am today. SS: What is your favorite/most used app on your phone? AL: I use the Pandora music app 🎧 the most because I love music and it relaxes me. It really helps me focus and get prepared on game day! SS: What is your go to method when creating a scoring opportunity on the field or court? AL: I am known for being a team player. I love getting my team involved in tough games. My method of getting the ball in the back of the net is a give and go, which is a quick, two-pass combo to get around the defender! In basketball I am a shooting guard so I have to make moves to free myself open for a shot. I shoot mid-range jump shots and make quick drives to the hoop. AL: Alex Morgan has made FIFA respect the women’s game of soccer. Her incredible love for the sport has opened the eyes of many to gender equality out on the field. SS: You are a multi-sport athlete who scored 100 goals by your junior year on the soccer team and starts on the basketball team, while maintaining a 4.1 GPA. How do you balance everything? AL: I was taught growing up that school always comes first, so I take my work very seriously. I am definitely not the procrastinating type and I like to get my work done quickly yet efficiently. I work extremely hard both on the field/court and in the classroom. I love challenging myself and keeping myself occupied. I balance my school and sports by pushing myself, and I am always open to learning something new. I do my work while I am at school, but once it’s time for practice, I am focusing 100% on my sport. I have to separate school from sports to keep from overworking myself. SS: As a female athlete, do you think there are any misconceptions about women’s sports? AL: Many people believe that women’s sports are less competitive than men’s sports, and I don’t think that is true at all. I have been playing sports my entire life and I’ve seen first-hand how competitive girls can get. It’s also assumed that women’s sports aren’t as tough as men’s. Women are as mentally and physically strong as any man. The only thing that separates us is our gender, not our sports 💪🏼. You can keep up with Lester and her teams’ soccer and basketball success at Bluefield High School on ScoreStream! On every team there needs to be a leader that carries the team in the right direction. 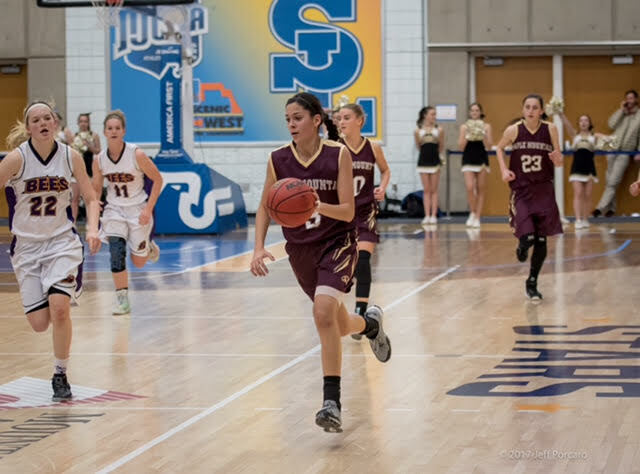 In the case of The Maple Mountain Golden Eagles, we find ourself fixated on Nicole Heyn. 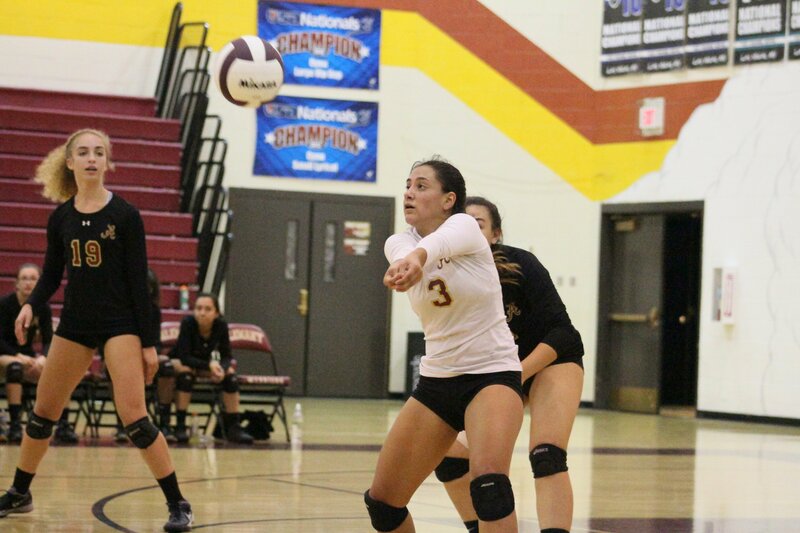 Heyn is a Senior that consistently led her team and put them ahead of herself this season. 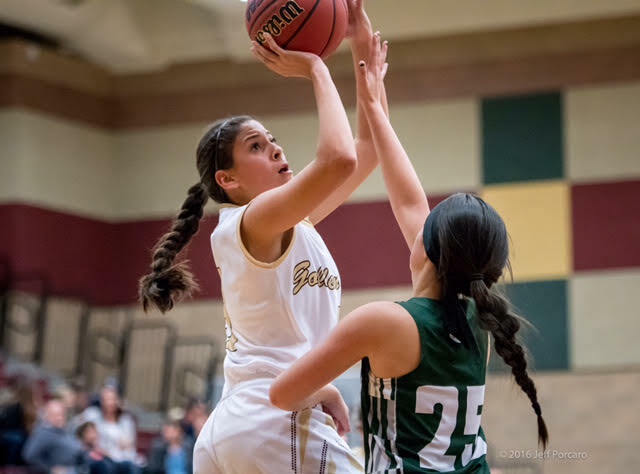 She put up an impressive 12.8 points per game, with 5.1 rebounds, shot a staggering 81% on her free throws, as well as recorded 3.2 steals per game! All of that translated into scoring over 250 points this season, and achieving top 2 for every major category on the stat sheet as well! She was everything we envisioned in our #NextLadyLegend contest and ScoreStream was lucky to catch up with her! Venture below for our Q&A we were able to conduct with her. NH: Definitely 😂! When my team is not in a serious situation, I always try to be laughing, smiling, and maintaining high morale! NH: Not anything that specifically gets me pumped up…but I always braid my hair the same way before games. SS: What woman do you think is changing her sport? NH: I think Elena Delle Done is changing the sport of basketball. She is so multifaceted in the way she plays and I think the game is going to change because of her. I expect more skill and variety from women in the future. SS: As a young female athlete, are there any female OR male athletes that inspire you and that you channel for strength and focus? NH: On the women’s side, I would have to say Candace Parker. She’s had many ups and downs in her life yet she is always is playing better every year. She even finds a way to involve a lot of other things that aren’t basketball related. For a men’s athlete, I would say Damian Lillard. He lets his game show what he’s all about. He has always been an underdog but works soo hard to show who he truly is! SS: What is your go to method when creating a scoring opportunity out on the court? NH: Driving up the middle into the paint, preferably right handed, then spinning to finish left handed for the layup! SS: How/when did you begin playing basketball? NH: It all started when I was 6, I was signed up to play “Little-Hoopsters”, the kid league in my city. After that I was hooked! 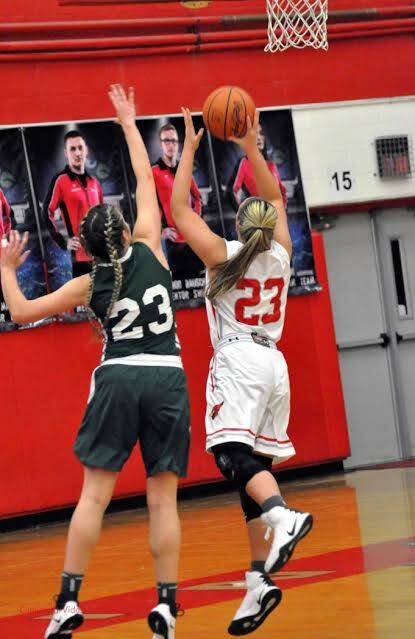 Our next finalist we are thrilled to introduce to you is Nicole Heffington, a 5′ 10″ basketball stand-out from Mentor High School in Mentor, OH. 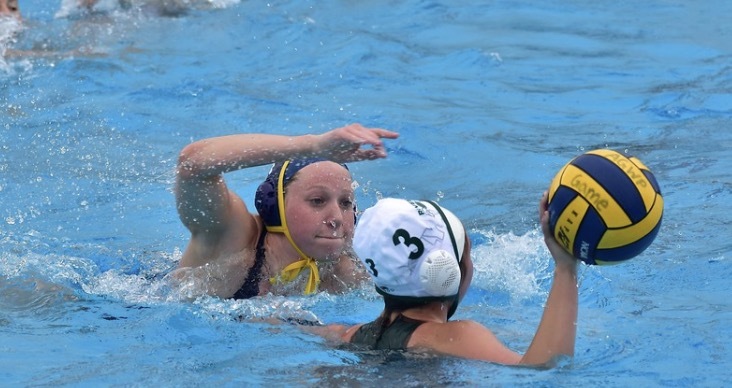 Heffington has made a crucial impact on her high school team every since she stepped foot on campus, starting all four years of her high school career. 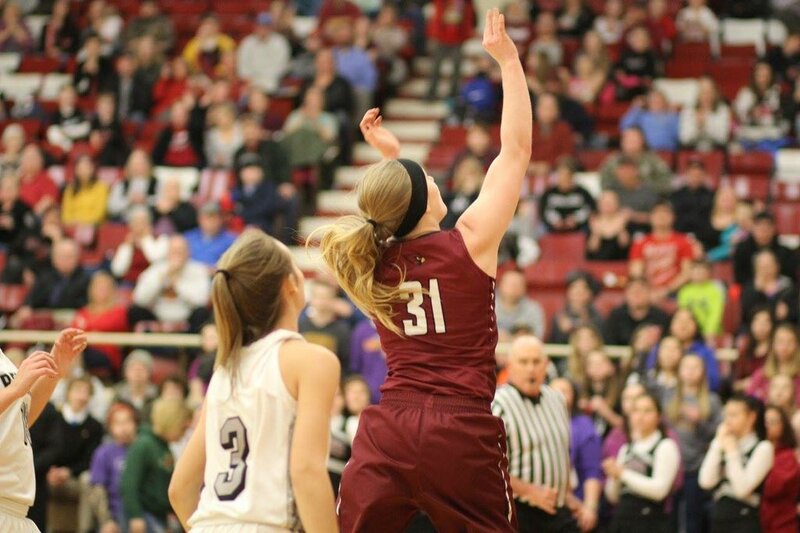 In her senior season, she averaged an impressive 16 points, 7 rebounds, 4 assists, 2 steals, and 2 blocks per game. She also passed the 1,000 career point mark, which she talks about as one of favorite basketball memories. 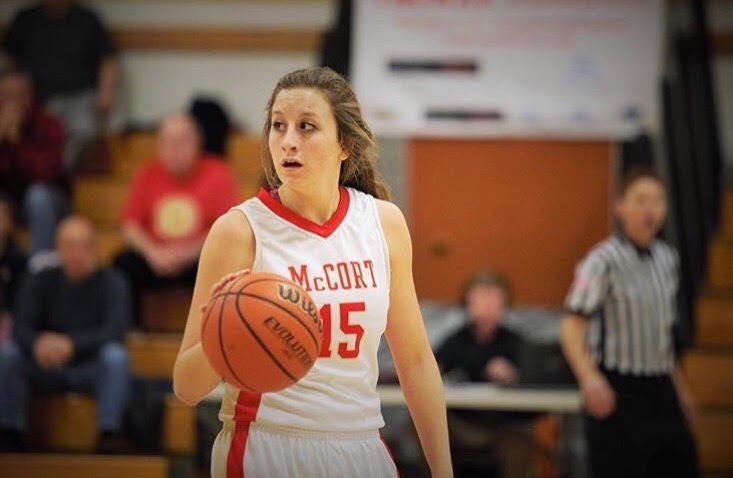 Basketball has been a passion of hers ever since she started playing eleven years ago, and since then she has played for Mentor Rec, Mentor High School, travel ball teams, and Improv AAU. 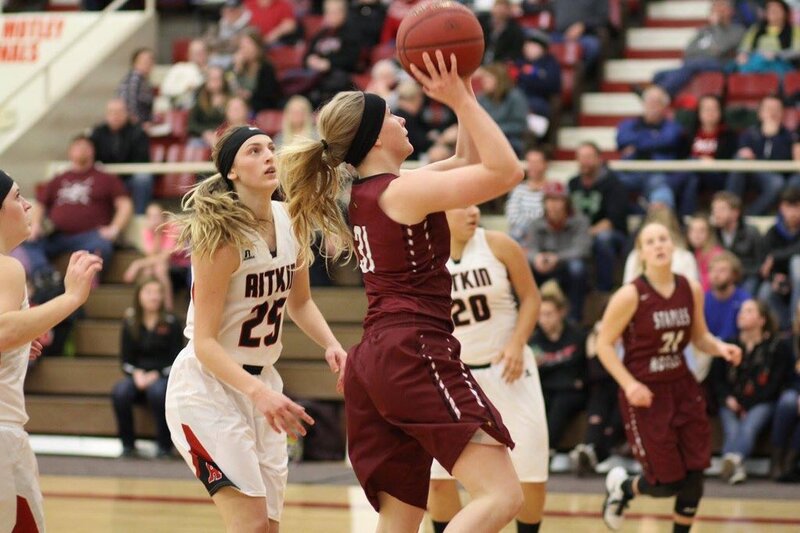 ScoreStream was lucky to catch up with Heffinton between baskets in the Q&A below! SS: What lessons have you learned from playing basketball that you carry along in your everyday life? NH: The most important lessons I have learned from basketball are how to work well with a team, how to communicate with others, and how to lead a group of people and get them to come together. These are all valuable skills that I can take off the court too! NH: I picked the 😂 emoji because my team and I are always laughing when we are together on and off the court and especially in our group text message. It’s how we bond together and build team chemistry. SS: Do you have a female OR male athlete that you look up to for inspiration? NH: I’ve always looked up to Maya Moore, who is an American professional basketball player for the Minnesota Lynx, Team USA, and previously the UCONN Huskies. I’ve been watching her play since I was a young girl and always had posters of her hanging in my room. SS: It’s GAME DAY! How do you get in the zone to prepare? SS: What is the most memorable moment of your high school basketball career? NH: My most memorable high school basketball moment was definitely scoring my 1,000th point! It was a feeling I will never forget and my team made it so special for me. SS: What are your athletic and academic aspirations for after high school? NH: It is my dream to continue playing basketball at a four year university. Off the court, I have big career goals as well, which include studying to become a neonatal nurse practitioner. You can follow Nicole Heffington on twitter @heffington17. 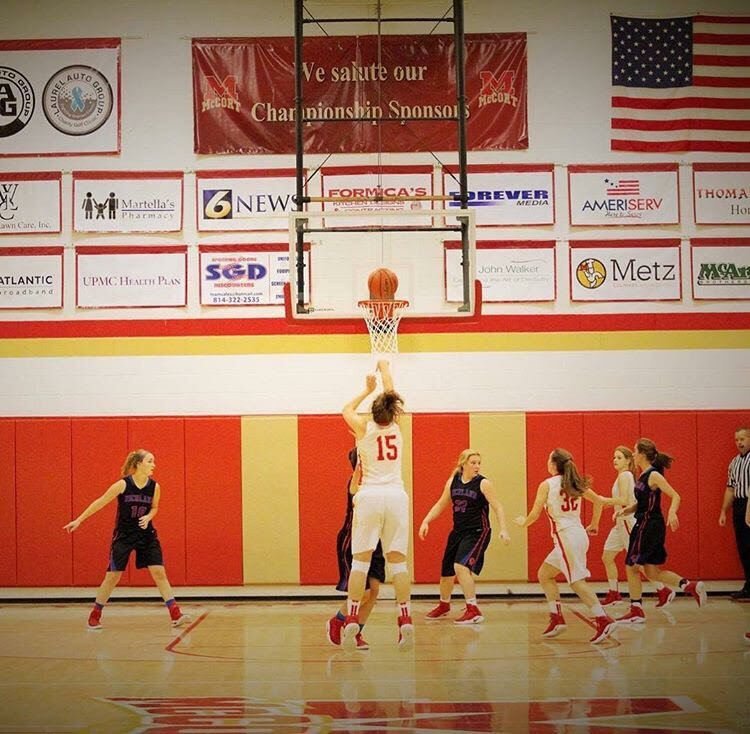 Make sure to keep up with her basketball team and other sports at Mentor High School on ScoreStream! When athletes play, they often claim they can’t hear the crowd cheering, booing, or attempting to distract them. Sports psychologist call it, “playing in the zone.” No one knows that silent zone better than goalies. Goalies have to play with the weight of the world on their shoulder and are often labeled as a God or a GOAT. They are instrumental in making key plays that more often than not, determine the fate of the game. 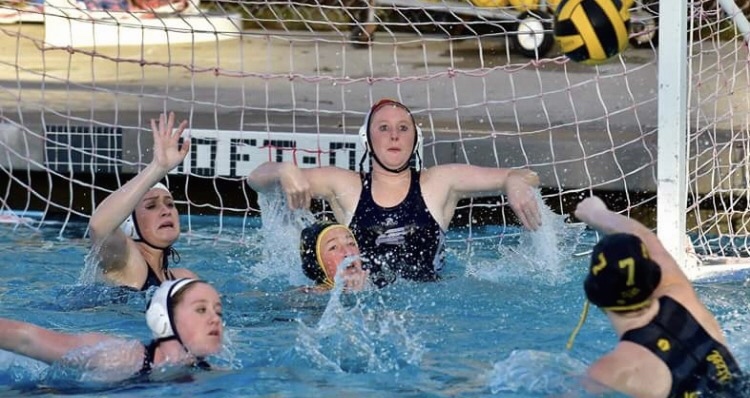 Once such goalie is Arroyo Grande’s Danielle Jenkins. Jenkins was nominated as a #NextLadyLegend shortly after making an impressive 28 saves for her team in a win against the Temple City Rams. On top of that, she blocked an impressive 71.7% of the shots that were taken last season. 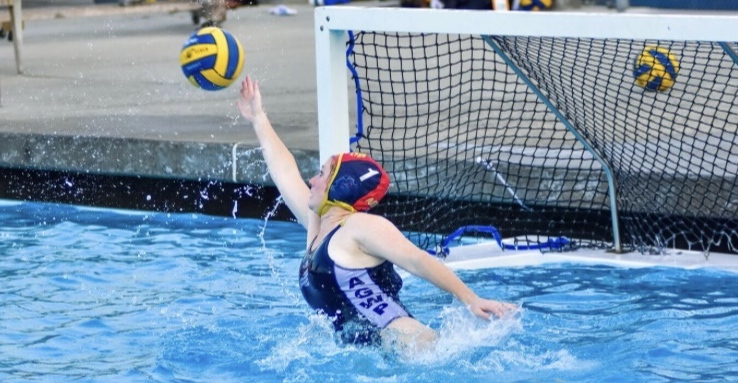 As well as making saves on over 60% of her team’s man down (5 on 6) possessions. ScoreStream was able to catch up with her and ask her some questions we thought our viewers may have. DJ: I started playing sports when I was young. I have always been infatuated with water so naturally I have been drawn to aquatic activities. It doesn’t matter if its a pool, ocean, or a lake. All I cared about was being in it. You could say I am a fish at heart! I even have the birthmark to prove it. SS: What is your go to approach on a penalty shot? DJ: When a 5-meter penalty shot gets awarded, I immediately get “laser focused” and in “the zone”. 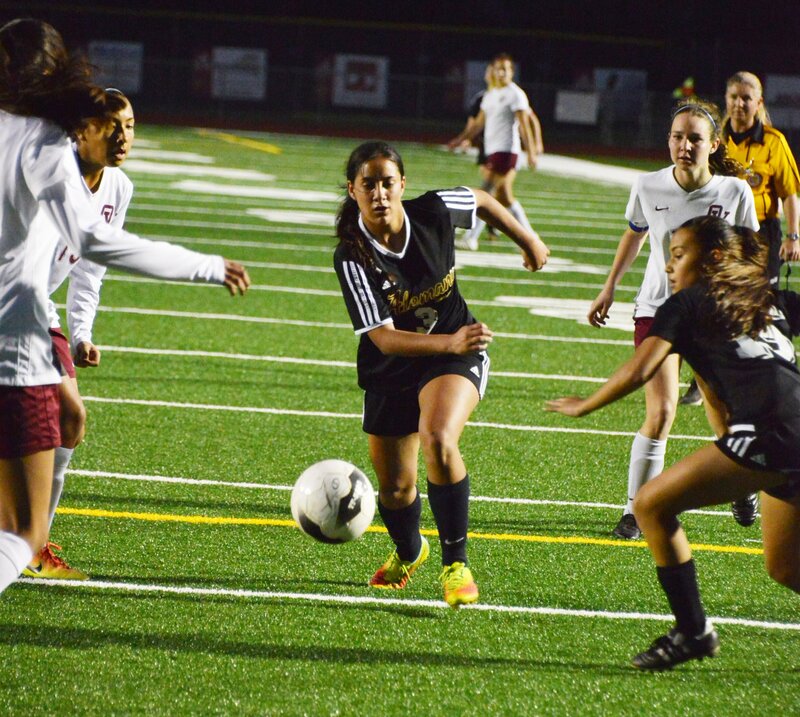 All my attention is dedicated to the girl with the ball and the referee with the whistle. DJ: During the day I go about my life as normal as possible. I do my best to not to think about the game or stress over it. When I get to the pool deck, I immediately get pumped by talking to my teammates, bantering back and forth, and just over all joking around. SS: What comes to mind when you think of Women’s History Month? DJ: I think about all the woman that are empowered through the recognition they receive during Woman’s History Month! Every year that it is acknowledged is a giant step into a more equal society between men and women. DJ: I first started playing water polo in 7th grade and I immediately thought it was a lot of fun and that continued into 8th grade. However, when I got to the end of my 8th grade year I wasn’t so sure I could make the high school team. I didn’t think I was good enough and weary about playing at the next level. My parents and coach convinced me into staying in it for one more year and we agreed that if I still didn’t like it, then I could quit. Despite my initial feelings, once I started playing in high school I realized how much I loved it. After that I learned that you should never give anything up without trying. It is impossible to know what you can accomplish if you don’t give it an honest try. 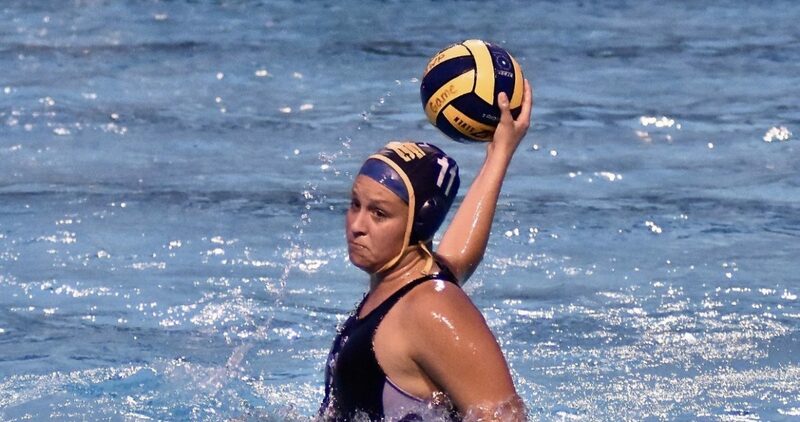 Make sure to keep up with Danielle Jenkins and Arroyo Grande on ScoreStream! 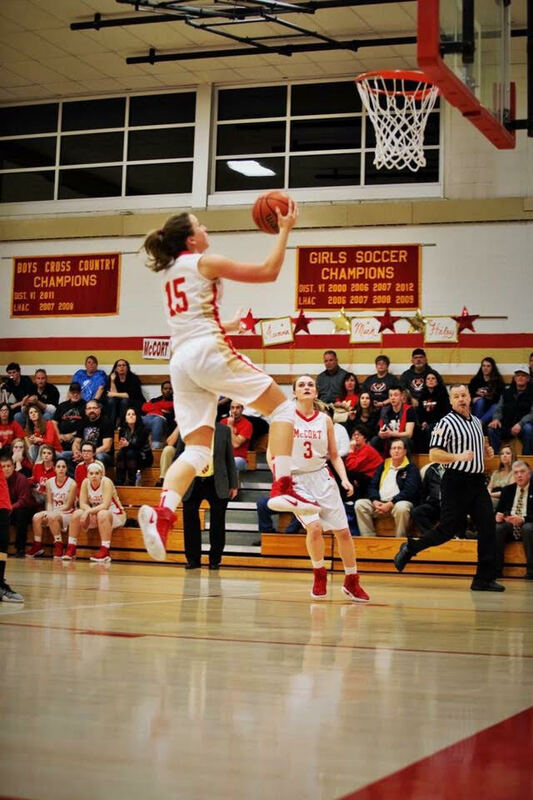 Haley Thomas of Bishop McCort High School, our latest #NextLadyLegend finalist pick, is nothing short of legendary in her hometown of Johnston, PA. Thomas is the epitome of ScoreStream’s feature to celebrate the accomplishments of female athletes by holding multiple school athletic records while maintaining a passion for her academics. In her senior season as captain and point guard of her high school basketball team, Thomas earned the title of all-time leading scorer at BMCHS in addition to all-time leading assists. The 5’10” stud recorded an impressive scoring average of 23.4 points per game in 25 games played this season. Thomas not only excels in basketball, but in track and field as well, where she is a part of her school’s 4×100 relay team that placed second in state last year and earned her another school record. When she’s not out there dominating the court and track, Thomas is thriving in the class room where she enjoys studying physics. We were lucky enough to shoot a quick Q&A over to Thomas to learn more about her athletics and academics! SS: What is your go to method to creating a scoring opportunity when you’re out there on the court? HT: I will usually use my most recognized moved, the behind the back, to break away from the defender. Then I will drive into the paint hopefully getting a shot off or a little dish to one of my teammates! HT: I picked the 😂 emoji because my team and I are always having a great time. That’s when we play our best, when we are loose. We always seem to be laughing with each other and our coaches. HT: Kelsey Plum of Washington women’s basketball is definitely changing her sport. She is showing everyone how hard work really does pay off. She is so humble about all of her accomplishments, which is something I strive to be. She is truly an amazing role model and basketball player. HT: My most memorable moment by far was becoming the all-time leading scorer at my school. My family and friends were all at the game which made it even more special! HT: After I finish high school, I plan to continue my basketball career at Saint Francis University of Loretto where I plan to major in Environmental Engineering. SS: Are there any misconceptions about women’s sports, and how are you and your teammates changing them? HT: I think one misconception about women’s sports is that our games aren’t as exciting to watch as the men’s games are. My team and I try and play our best basketball every time we step out on the court. I think our games are very exciting to watch and play in. You can follow Haley Thomas on twitter @haleyyy_thomas. 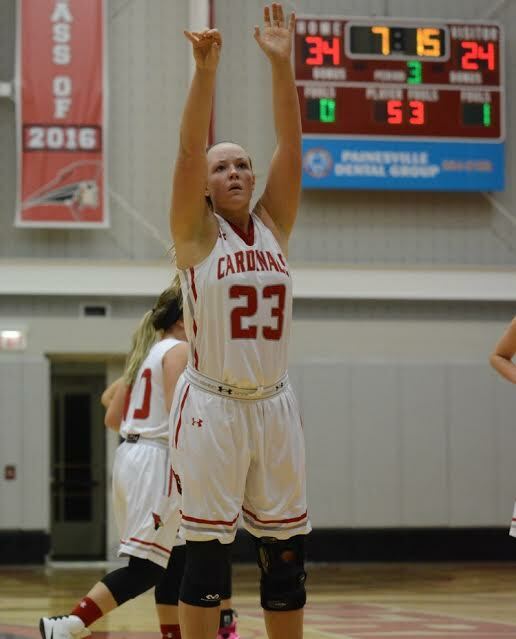 Make sure to keep up with her collegiate basketball team Saint Francis University of Loretto next year on ScoreStream!